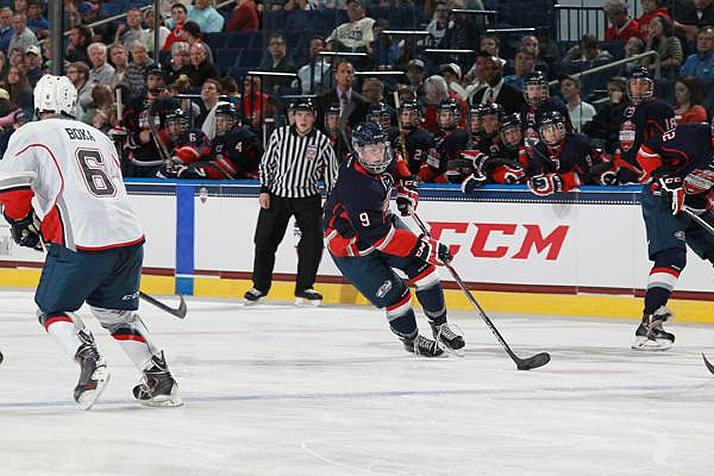 U.S. Prospects Roster Released - College Hockey, Inc.
12 schools represented on 42-player roster. The first six USA Hockey All-American Prospect Games produced 155 NHL Draft picks. At least 35 future NCAA players are among the 42 named to compete in the seventh annual USA Hockey All-American Prospects Game, USA Hockey announced Friday. The 35 Division I commits and three uncommitted college prospects will face off Sept. 19 at St. Paul’s Xcel Energy Center in a game featuring the top American players eligible for the 2019 NHL Draft. The commits include six future Boston University Terriers, the most of the 12 schools represented on the roster. Boston College and Minnesota have five representatives each, including Gopher freshman defenseman Ben Brinkman – the lone player on the roster slated to play at the NCAA level in 2018-19. Seventeen states are represented on the roster, led by 10 Minnesotans who will be skating on “home ice” at Xcel Energy Center. This marks the first time the event will be held in St. Paul. The roster includes 19 players from USA Hockey’s National Team Development Program, many of the 31 players who have ties to the USHL. Players are selected for the USA Hockey All-American Prospects Game by USA Hockey in conjunction with NHL Central Scouting. The first six years of the game have produced 155 NHL Draft picks, including 36 first-round selections.